Melot Accounting is excited to be offering FloatApp software to new ltd company clients on Enhanced packages as standard, or as an add-on to other packages. One of our main focuses has always been empowering business owners, and we’ve used FreeAgent software to assist with this over the past few years. 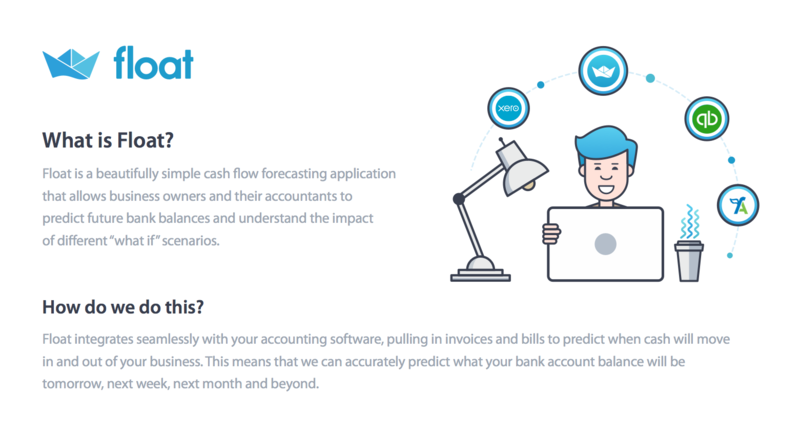 Now there is a cashflow forecasting app which can link directly into the FreeAgent data to backfill the past and help business owners plan and manage the future! So we were quick to jump on board with the team at FloatApp to ensure clients can make use of this efficient online forecasting tool at a cost effective price. Read more about FloatApp here. Take a 2 minute tour of FloatApp here. Or watch the tutorial video here. To see more on packages please see Prices.